Enjoy total confidence in our range of footwear, ergonomically designed to maximise your comfort. 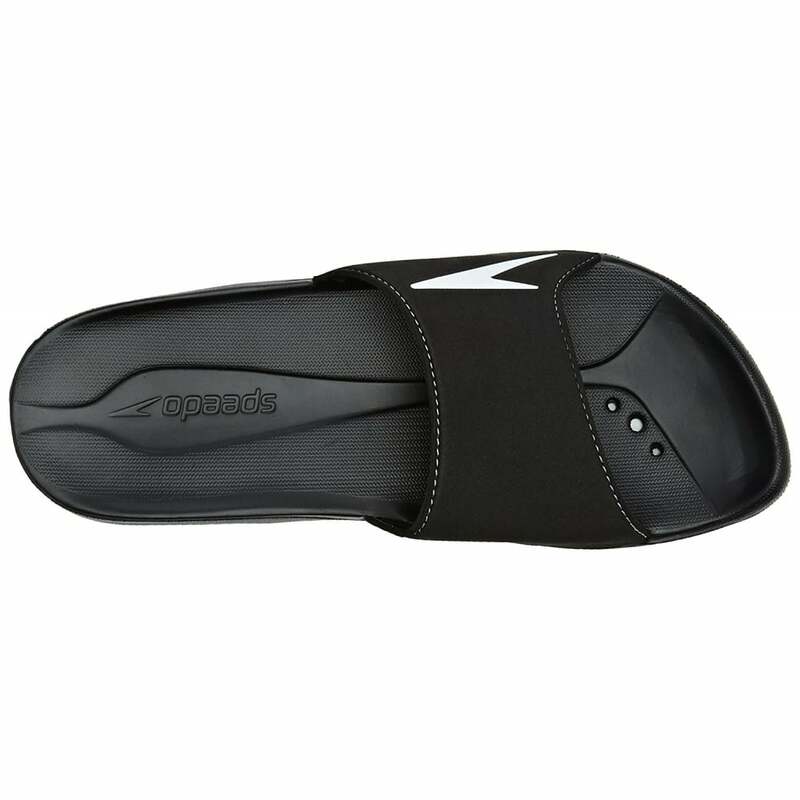 Water-repellent and lightweight, these naturally antibacterial slides feature anti-slip technologies, making them perfect for use by the pool. Soft, flexible EVA upper provides cushioning and comfort while rapid drainage holes work to keep feet dry by channelling water away from under the foot. Improved grip on wet surfaces thanks to drainage channels on the outsole. Slip resistance tested.